Versace is an Italian luxury apparel store that has gained a lot of recognition in the fashion world internationally. With exquisite pieces ranging from dresses to leather goods, Versace is a choice brand for celebrities such as Angelina Jolie, Gisele Bündchen and Eva Longoria. With Big Apple Buddy’s personal shopping service, you can now buy direct from the USA Versace online store anytime, anywhere. 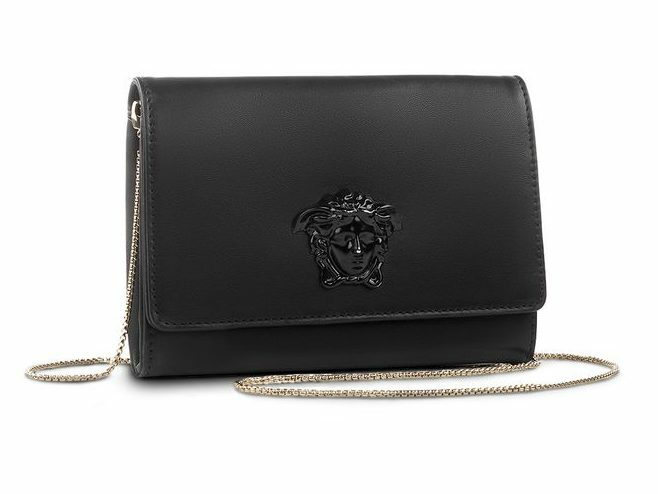 The Versace's Tonal Sultan Shoulder Bag is a girl's new best companion for a night out. This iconic bag features Nappa leather and a gold chain strap to wear on your shoulder. The 3-D Medusa plaque on the front gives it the unique touch that is signature of Versace fashion. There's plenty of space! With two flaps and two inner pockets, this shoulder bag is perfect to fit all your needs while looking fashionable. For a more subtle option, the Versace's Palazzo Patent Leather Pouch is the bag for you! The classic black look is unbeatable and the gold chain pops a bit of color into the pouch. The zip closure keeps your essentials secure so you don't have to worry about anything falling out or getting stolen. The small pouch is easy to carry around but compliments any outfit and becomes versatile with the shoulder strap. Your feet will thank you when you wear the Versace's Medusa Heel Open-Toe Sandal! 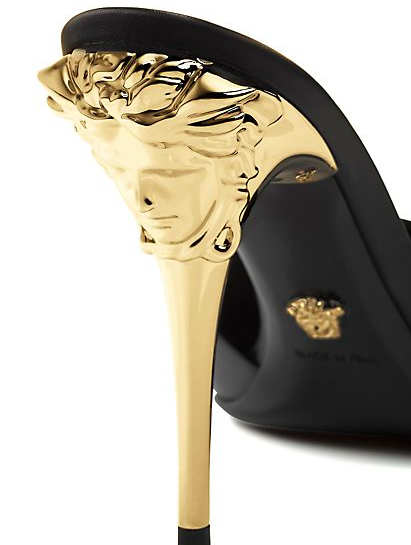 The Medusa heel makes it a classic Versace look and shows off the intricate design of the shoe. This 100% leather shoe molds to your feet for a perfect fit so they stay comfortable all night long. The open-toed feature meanwhile can show off your matching nails and give the extra boost to complete your outfit. Unfortunately, the USA Versace online store does not currently offer international shipping. However, Big Apple Buddy, your personal shopper, can help you buy products direct from the official USA Versace online store and ship them to your doorstep, no matter where you are in the world. If you would like to buy from the USA Versace online store, simply let us know which items you would like to order (by filling out the form below) and we’ll get back to you with a free international shipping quote within 24 hours!